Documents archives mean broadly ¡°all documentary records in a certain language and/or icons¡±, narrowly ¡°documentary records tha t have values in a certain field of studying and art¡±. They began with the appearance of a language and recording of the reign. Thus document archives mean records from ancestors that have values in history and/or art. 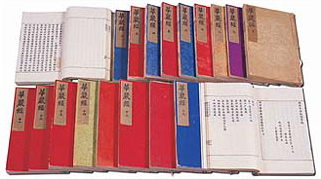 In Korea, many kinds of document archives were left since the Era of 3 Countries, and can be classified as document archives, old documents, and books. Seonam-sa Sungbo Museum possesses about 650 archives, such as Baekjimukseoyumagyeong-sagyeong written by Gyeongun-wongi Monk, Sagyeong written in Joseon Dynasty including Baekjimukseohwaeomgyeong-sagyeong written between 1632~1633, and rarely found wooden records made before Imjin-Weran.